As the summer wraps up, there’s a good chance you’ve noticed the leaves on some of the trees on your commercial property starting to change color. No, fall hasn’t come early; that’s drought stress. Another, more obvious example of this is the browning and thinning out of your grass. This is especially true if your site has a lot of large trees. Trees have enormous root systems and that means the battle for moisture is a lopsided one. Mother Nature has a tendency to remedy turf troubles with time. Having said that, a serious case of drought stress can weaken your grass, making it more susceptible to disease and insect pressure. Think: gray leaf spot, brown patch, red thread, dollar spot, rust, grub damage, chinch bugs, webworms, cutworms and the list goes on. 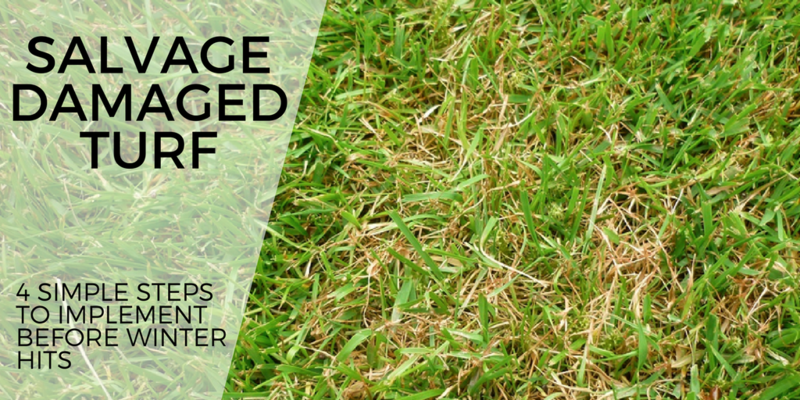 Identifying these lawn diseases and pests can be challenging since many of their symptoms are similar (and they can even look alike). If you see something that doesn't look right. we encourage you to get a second opinion. Need to know more about grass and lawn care? Check out our favorite resources to help you keep your turf healthy. Way before we put an application of any sort down on your turf, a Schill turf care expert first determines how long the climatic conditions will remain favorable for the disease in question to occur. If the turf disease is persistent, a fungicide application will suppress and prevent any further disease (damage). 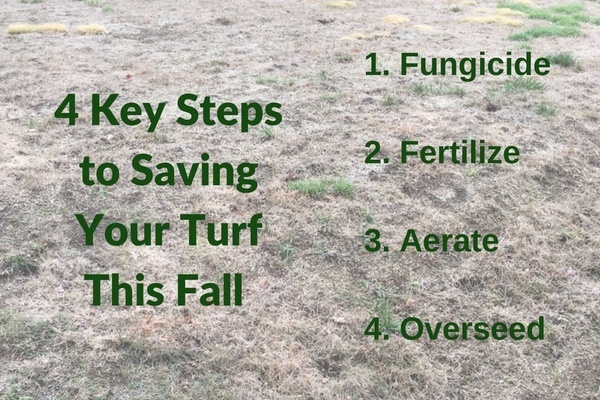 As we head into fall, fertilization is another critical component to fall turf care because it promotes root development and gives grass the nutrients it was missing during the stressful summer months. Some people might suggest holding off on fertilization, especially when it comes to synthetic fertilizers and the turf burn it can cause. But think about it: The grass has been in a famine, so to speak, and having nutrients easily accessible will be extremely valuable as it tries to recover before winter. 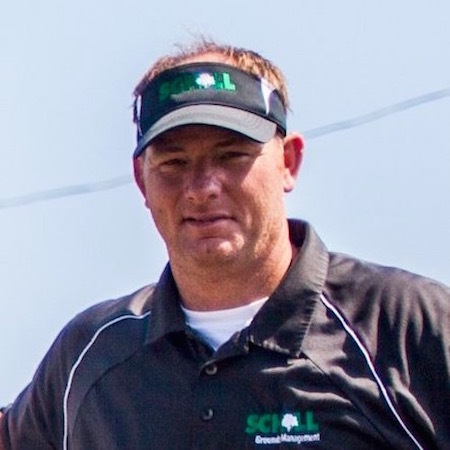 At Schill, we run a bio-nutritional based fertilizer program which promotes faster recovery and very little risk of turf burn, especially when compared to a traditional fertilizer program. We’ve talked a lot about the grass up until this point, but what about the soil? Thanks to this summer's drought stress, the likelihood of your soil being compacted, dried out and depleted of nutrients is higher than usual. It creates a better air exchange between the environment and soil. It improves a lawn’s ability to absorb water and nutrients/fertilizer. Aeration creates openings for grass to grow into. It will result in stronger grass roots, which you’ll eventually see and feel. Want to know more about aeration? We like to think overseeding goes hand in hand with aeration. Overseeding in fall is ideal because your lawn will not require extra maintenance for grass seed to germinate. It also helps replace any grass that died off from summer drought, insect damage or turf disease. While most property managers may be familiar with broadcast seeding, we suggest to our clients slit-seeding as another, more effective option for seeding commercial properties in the fall. A slit seeder mechanically slices into the soil and then drops grass seed directly into the openings it creates. When was the last time you overseeded your turf? As a general practice, we recommend doing it every few years to diversify the grass on your property. Don’t wait until the final hour to discuss your property’s turf needs. Now is the ideal time to walk your property with one of Schill turf care specialists to ensure your grass is getting everything it needs before winter hits. Let’s talk about this and other necessary fall to-dos for your property that will set up your turf and landscape for a successful spring. Call us any time at 440-327-3030, or fill out our online form to request a proposal, and we’ll get in touch with you.